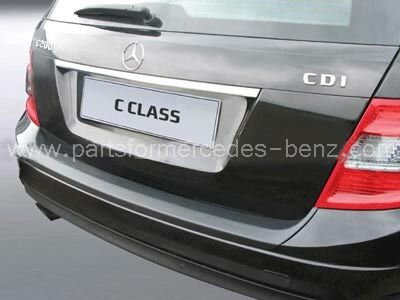 To Fit: Mercedes C Class 2007-2014. All Estate models, without AMG styling pack. Simple to fit without specialist knowledge or equipment. High quality, CNC machined ABS plastic bumper protection cover. German manufactured part, tailor made to fit the rear bumper cover precisely.